Bruegger’s Bagels – Doesn’t have “real” bacon or eggs. 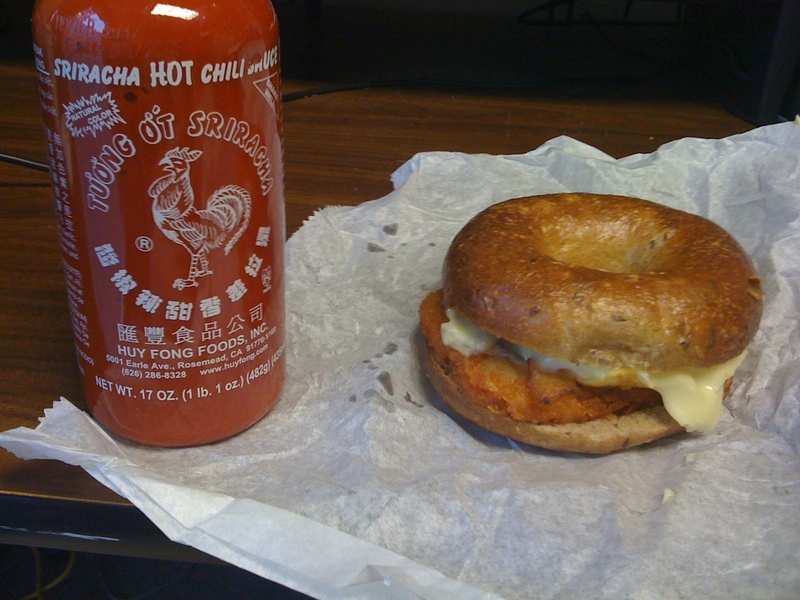 The obvious solution is to combine a Bruegger’s bagel (wheat pictured) with an egg / bacon / cheese from Boo~Kies (shown with optional hashbrown), with Sriracha (AKA Rooster) sauce. This is a winning formula… all for around $3.50 (plus a bottle of Sriracha, $3.99 @ City Market). Unfortunately this post is a little tardy, Boo~Kies’s cart appears to be done for the season, hit him up next spring. What’s Twitter For? – Hong’s Dumplings updates! Also there is a great writeup here and fun video blog here. 2) part of a weird internal mall. 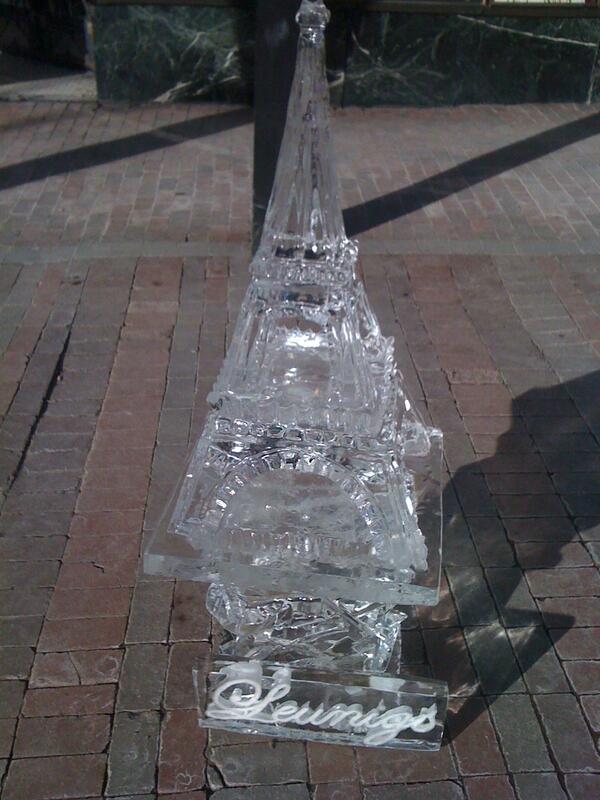 It’s located ironically at the top block of Church Street in Burlington Vermont. 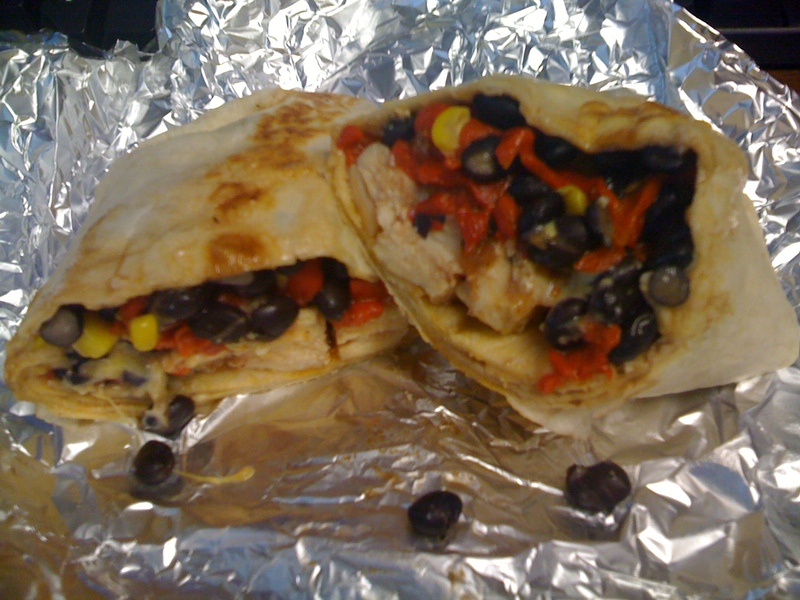 This was a special of the day: spiced chicken, black beans, caramelized onions, roasted red peppers, corn, cheddar, all on a toasted/grilled wrap. $7.43 with tax and it’s yours. I didn’t take any pictures of the internal mall, but the “Shoppe” and seating area opened up to a basement and second level containing various “shops”, very interesting. Ben and Jerry’s Free Cone Day Tomorrow. Get it while it’s cold! Official details here , the scoop is that it’s 12pm-8pm on Church St in Burlington Vermont, see the website for the details for your location. 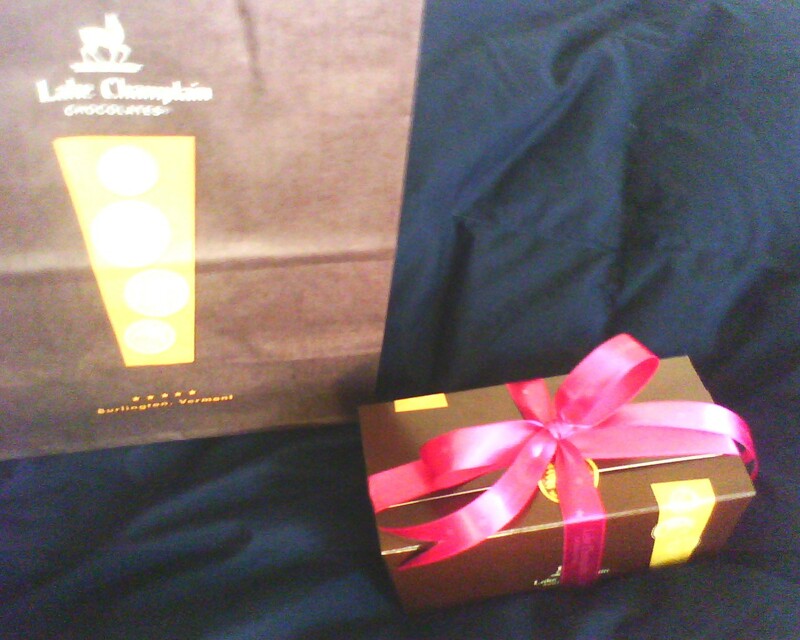 If you’re picking up some chocolate for your sweetie, I would suggest Lake Champlain Chocolates. 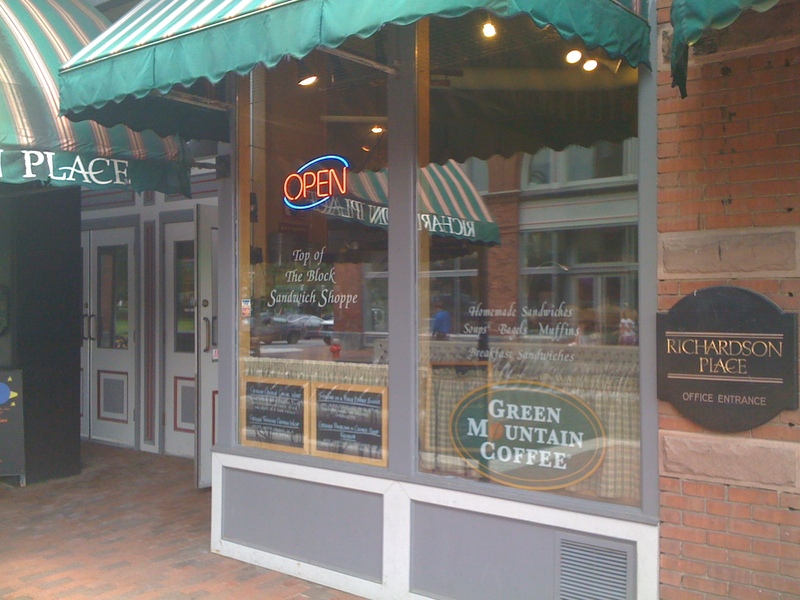 They have a Church Street location as well as there factory / store on Pine Street in Burlington Vermont. They make the chocolates (I recommend the truffles) right at the Pine Street location. 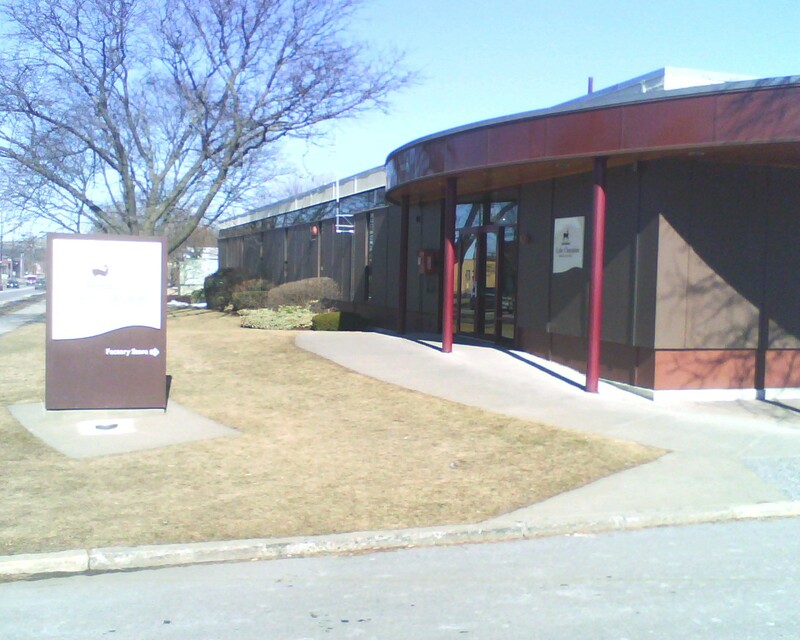 There are tours available if your lover is a chocoholic or foodie. 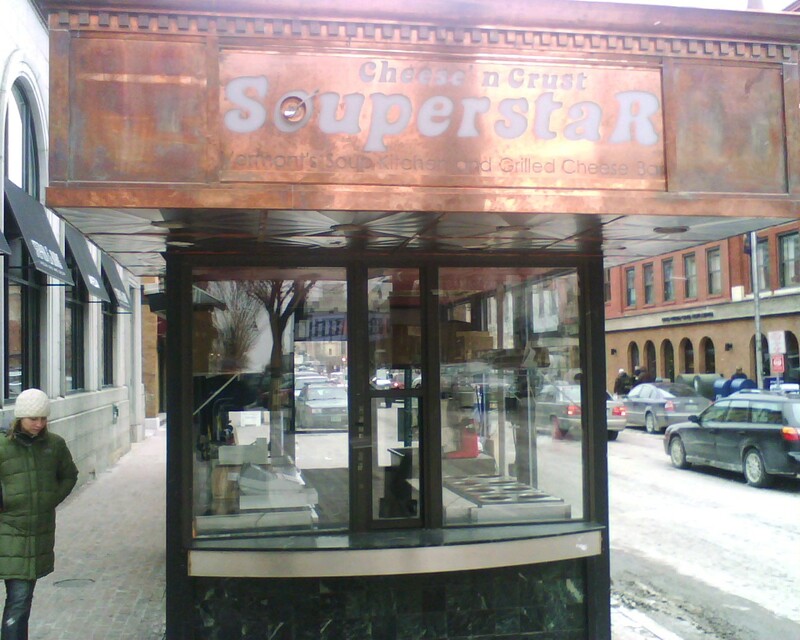 It looks like the old Klingers bakery shop, has a new tenant “Cheese’ n Crust SouperstaR”. I love the copper patina facade, and I’m curious what their take on grilled cheese is. 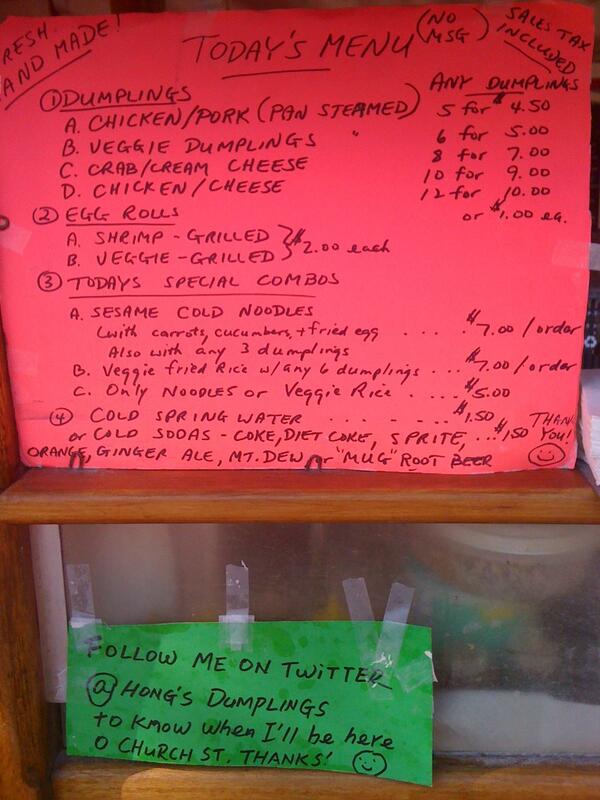 It seems like the winter is a good time to open a soup and grilled cheese shop. With the spate of recent closings, I’m happy to see a new opening. Did anyone happen to notice the name appears to be a play on words? Cheesy, yet titularly funny at the same time. 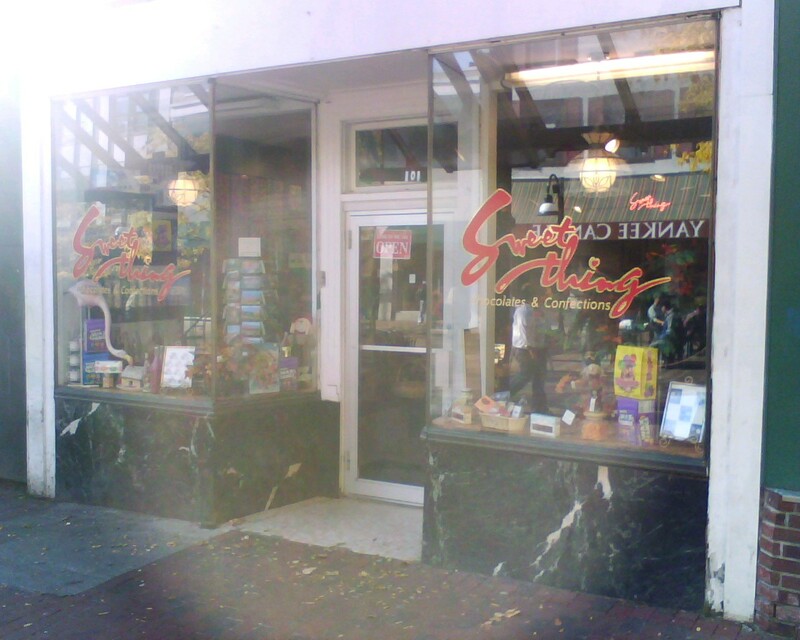 I honor of Halloween I thought I would write about a favorite candy of mine, Losta Fizz can be found in “Sweet Thing” on Church Street in Burlington Vermont. Note to Sweet Thing, no Zagnut bars? I used to eat Lotsa Fizz when I was kid, although when I was younger they used to look a little different. Some of my co-workers told me that I should try a similar candy Zotz. Lotsa Fizz are hard some-what sour candy. After few moments the melting of candy will release some of the fizz powder, crushing the candy in your teeth releases a satifiying burst of fizz. I wish these were more sour and had more fizz but eating two at once solves these concerns. 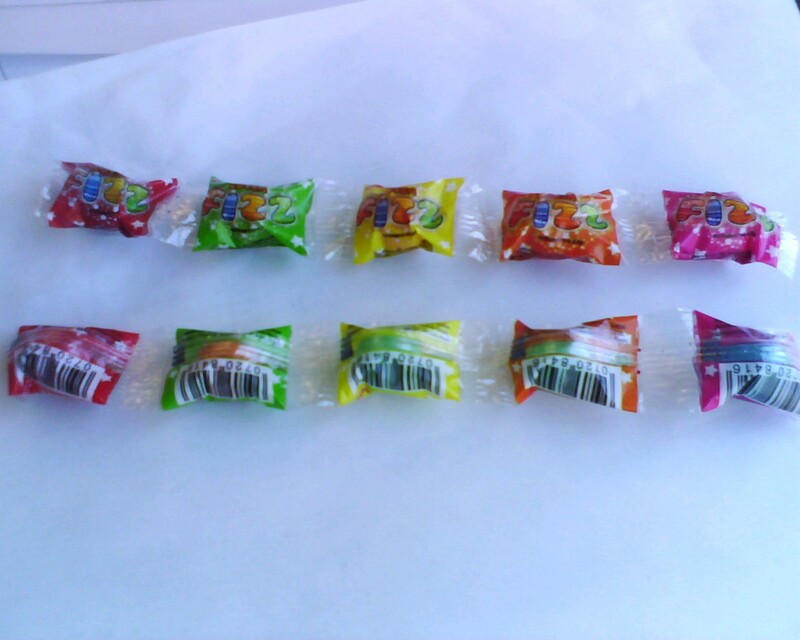 These candies were $.50 for a strip of 5; keep them in mind for next halloween.